So the latest update has rendered the delete button unclickable. Is this a bug or an issue with permissions? Because it was working just fine a couple of days ago. Settings -> Library -> Lists -> Delete Action. This setting needs to be enabled to allow PA to delete files. This should not be confused with the Delete when you long press a song in the queue as this only removes the song from the queue. I think if you enable the delete option a delete from queue will be followed with something like a prompt to also delete the file. This option is disabled only if it was previously disabled in v2 (Android carries options over / restores settings from backup). oh thanks for the help. Fixed it. 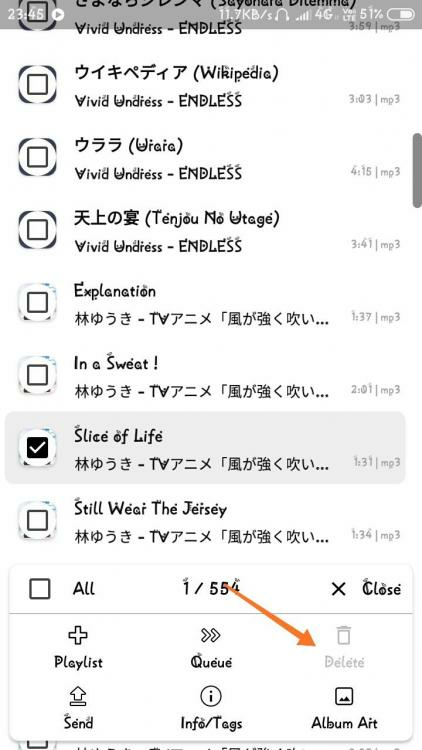 And yeah, the delete option for songs in queue only removes it from the queue.